Why Do Women Have Irregular Periods on Oral Contraceptives? The most common type of birth control that women use today is the pill. It is convenient, effective, and for the most part side effects are minimal. It does however have a potent effect on the body as it alters the menstrual cycle. The potential for side effects exists, particularly those that are related to a balance of estrogen and progesterone, such as irregular periods. 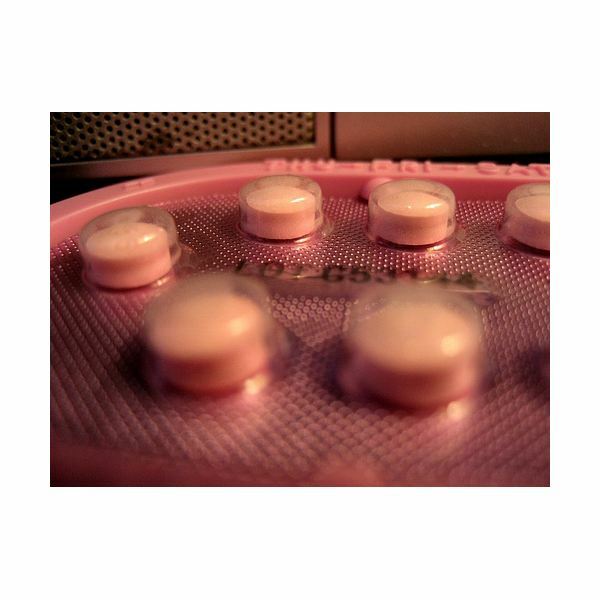 How exactly does the pill affect the female reproductive system? Oral contraceptives contain synthetic female hormones, usually a combination of estrogen and progestin (some pills only contain progestin to avoid some of the effects of estrogen). Taking these hormone pills causes several changes that prevent pregnancy — ovulation is stopped, the uterus changes so pregnancy is less likely, and the cervical mucus thickens forming a barrier between sperm and the uterus.While these are the expected effects of oral contraceptives that prevent a women from becoming pregnant, the dose of hormones may also lead to side effects such as irregular bleeding, mood changes, and weight gain. Is it dangerous to experience irregular periods when on oral contraceptives? What can be done to address this problem? Ideally, periods will be regular and even lighter then normal when taking birth control pills. In fact some women take the pill just for this benefit. For some women missed periods, spotting, extremely light periods, or even heavier periods may occur, especially when first starting the pill. This varies with different oral contraceptives and different women.As the body adjusts after two or three menstrual cycles these irregularities may clear up. If not you can talk to your doctor about taking a different pill. Continued spotting between periods may be a sign that the pills are not strong enough. This is important to keep in mind as another form of birth control may be necessary to ensure that you do not become pregnant. If a missed period could be a sign of pregnancy, take a pregnancy test as soon as possible. Heavy bleeding or bleeding that lasts for more than a couple days can be a bothersome side effect of oral contraceptives. It is not necessarily a sign of a health problem, but it is a reason to make an appointment with your health care provider and discuss different options, such as simply switching to another pill. It is alright to continue taking the pill until your appointment. If there are other serious side effects occurring, such as severe headaches, chest pain, abdominal pains, vision problems, or severe leg pain then see your doctor right away. Having irregular periods while on oral contraceptives is not a serious side effect. It is however easily remedied in most cases. Make sure you are taking each pill at about the same time everyday. Talk to your doctor if irregularities persist after two or three months. They may decide to change the birth control pill that you are taking.